All this at your finger tips! 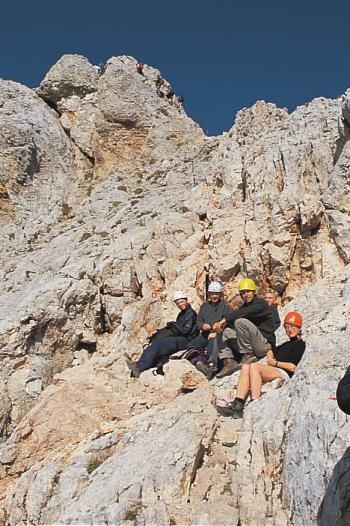 Alpine peaks, breath taking mountains, stunning panoramas, hidden trails, mountain lakes, traditional mountain lodges, amazing flora and fauna and some of the most spectacular un-trekked trails in Europe – Slovenia – the most prefect trekking destination. Imagine staying overnight in a mountain lodge and waking each morning with a different breathtaking backdrop, following trails across hidden valleys, summiting amazing trekking peaks or hiking along low valley trails. 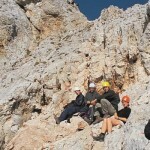 The opportunities are endless and this is what makes Slovenia so special as a trekking destination. 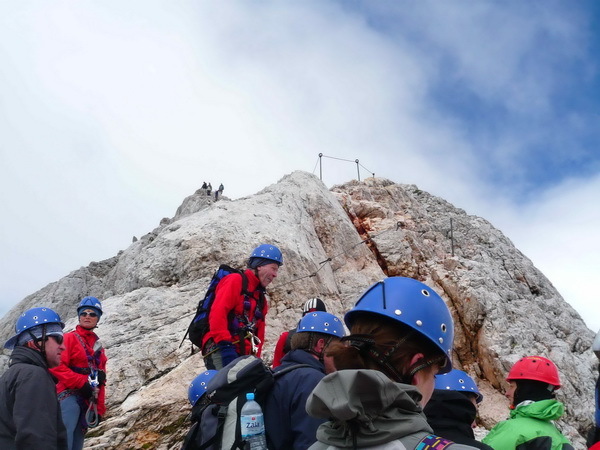 Slovenia’s mountain region has an abundance of trekking trails and this teamed with traditional mountain lodges dotted around the national park ensures trekking is a ‘light-weight’ experience. 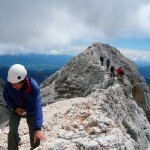 The Julian Alps: awesome mountains offering an unforgettable trekking experience. 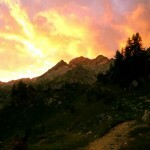 The magical names of Prisank, Jalovec, Razor and Mojstrovka attract alpine lovers from all around the world. A trek in the Julian Alps offers everyone the chance to climb Slovenia’s highest mountain – Triglav, towering over his surrounding peaks Triglav (Three Heads) at 2864m offers a chance to stand on the highest point in the country, it’s stunning location offers a view as far away as the Austrian Alps and Italian Dolomites. 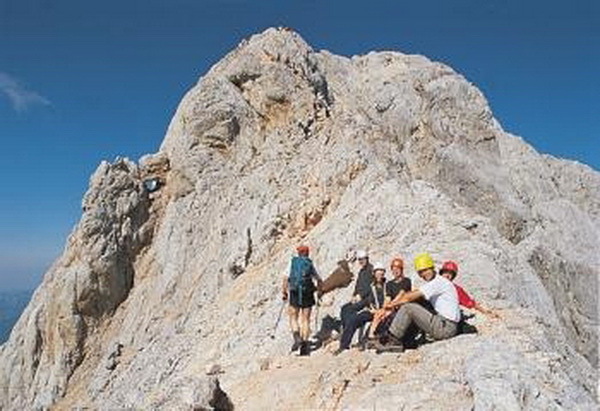 Karavanke Mountains: the natural border between Slovenia and Austria is a beautiful range of rollings hills and peaks, a perfect combination with the grandeur of the Julian Alps. Less trekked then the Julian Alps the Karavanke Mountains offers unique flora and fauna along routes where it’s possible to trek whole days without seeing another sole. 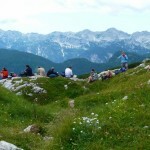 Offering lovely views into neighboring Austria and stunning panoramas of the Julian Alps this range offers a relaxed trekking experience, green valleys, mountain pastures, flower filled meadows and an ‘away from it all’ feeling. The Kamnik Alps: a small but perfectly formed range of towering peaks. The peaks are perfect for a more challenging trek as these remote and wild mountains offer experienced walkers and mountaineers something to get your teeth into. 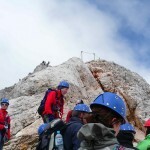 With slightly longer walk ins and longer distances to cover between lodges, the Kamnik Alps is a trekking experience that takes you away from the popularity of the Julian Alps but offers equal natural beauty with more of a challenge. 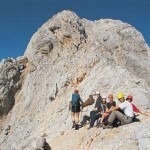 Our individual trekking pages show more of what Slovenia has to offer whilst trekking. Contact us for more advice on all the areas and trekking routes available.